Central banks in Great Britain and the United States arose early in the financial revolution. The Bank of England was created in 1694 while the first Banks of the United States appeared in 1791-1811 and 1816-36, and were followed by the Independent Treasury, 1846-1914. These institutions, together with the Suffolk Bank and the New York Clearing House, exercised important central banking function before the creation of the Federal Reserve System in 1913. 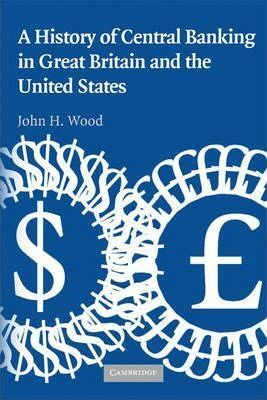 In this 2005 book, significant monetary changes in the lives of these British and American institutions are examined within a framework that deals with the knowledge and behavior of central bankers and their interactions with economists and politicians. Central bankers' behavior has shown considerable continuity in the influence of incentives and their interest in the stability of the financial markets. 1. Understanding monetary policy; 2. An introduction to central bankers; 3. Making a central bank: I. Surviving; 4. Making a central bank: II. Looking for a rule; 5. Making a central bank: III. Ends and means; 6. Central banking in the United States, 1790-1914; 7. Before the crash: the origins and early years of the Federal Reserve; 8. The fall and rise of the Federal Reserve, 1929-51; 9. Central banking in the United States after the Great Depression, 1951-71; 10. The Bank of England after 1914; 11. Rules vs. authorities; 12. Permanent suspension; 13. Back to the beginning? New contracts for new companies. John H. Wood is R. J. Reynolds Professor of Economics at Wake Forest University, Winston-Salem, North Carolina. He has also taught at the Universities of Birmingham, Pennsylvania, and Singapore and at Northwestern University. A Life Fellow of Clare Hall, Cambridge, and a Visiting Fellow of the American Institute for Economic Research, Professor Wood has also been a full-time or visiting economist at the Federal Reserve Board and the Federal Reserve Banks of Chicago, Dallas, and Philadelphia. His earlier studies of central banking include in 1967 the first application of the theory of economic policy to Federal Reserve behavior.